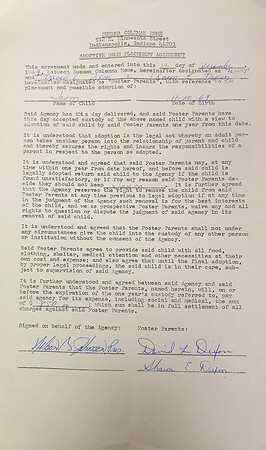 FINDING HOME: The original adoption record for Beverly Kersey's biological son, Jeff Dixon. Kersey gave Dixon up for adoption in 1969, after her parents put her in a home for unwed mothers. She was able to see him once after he was born, when she sneaked upstairs at the hospital and watched him through glass.